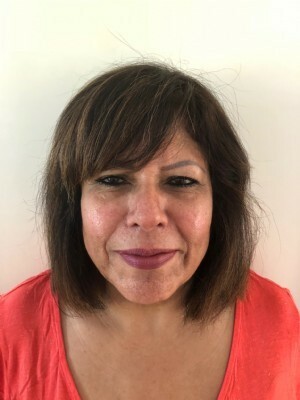 Zuben has over 30 years’ experience in the field of nursing, both in acute and in community settings, the last five years being specifically in case management as a case manager for East Sussex CCG NHS. She has worked with both adults and children, with a wide diversity of complex varying health needs, including acquired brain injury and spinal injury, for young children and adults with active rehabilitation. Positions held during those years include the role of a district nursing sister, integrated team leader, clinical lead for District Nursing Service, community matron, advanced nurse practitioner and Royal College of Nursing (RCN) Activists. Zuben has had roles as a steward, in health and safety, as a learning representative, a champion for equality and diversity and RCN South East Board member. Zuben is experienced in developing, procuring and monitoring robust quality and delivery of all types of care packages for clients. She is able to work autonomously in supporting clients and their families as well as managing client and family expectations when dealing with highly emotive situations. Zuben is compassionate about her clients’ safety and welfare. She delivers specialised and bespoke individualised case management with SMART outcomes incorporating rehabilitation programmes, care plans, risk assessments and reports with regular monitoring in conjunction with other therapists and care staff. Zuben continues to maintain and update her professional development and is accountable for her own professional actions within the NMC Code of Conduct. Revalidation of her professional registration is current. Zuben is energetic, committed, self-disciplined and, with any new challenges, is a motivator. After many years in nursing, her professional confidence enables her to gain people's trust and respect very quickly. Zuben has the ability to organise, facilitate and chair multidisciplinary (MDT) meetings for discharge planning and addressing multiple issues with complex care package. She is also very experienced in best interest meetings where appropriate for clients with complex needs. Zuben is able to work collaboratively with other professionals such as general practitioners, specialist nurses, hospices and specialist consultants including those at Stoke Mandeville Hospital, Chailey Heritage and Adult Social Care East Teams. Zuben is experienced in sourcing and coordinating input from other therapists for swallowing issues, aspiration and weight management. Zuben, as a best interest assessor (BIA), is able to undertake the best interest assessment following the Section 12 Mental Health Doctor’s Assessment. As a BIA, Zuben plays an important role in the deprivation of liberty safeguards (DoLs), which is part of the Mental Capacity Act. She works as an approved BIA East Sussex DoLs team member. She carries out four sessions of DoLs assessment cases yearly which are compulsory and she is also required to attend a yearly legal update. Zuben as an independent BIA, undertakes the DoLs assessment providing an independent and objective view of whether or not there is a genuine justification for deprivation of liberty, taking account all relevant views and factors as well as making recommendations. Zuben is a mother of two grown up children; a son and a daughter. She has four young grandchildren who are very active. Zuben cherishes and enjoys all the moments she spends with her family. Zuben attends salsa classes once a week. She enjoys gardening and has an allotment where she enjoys reaping the benefits of all her own-grown vegetables and fruits. Zuben also enjoys cooking a variety of different types of dishes, walking with her grandchildren and visiting her family in Mauritius. She also enjoys exploring other countries.